Healing the Fractured Child is a brilliantly written, remarkable and comprehensive book by one of the leading practitioners in the field of childhood trauma, dissociation and abuse. It provides the reader and practitioner with an in-depth knowledge and overview of current interventions for treating dissociation in youth. Healing the Fractured Child is extremely well-grounded in theory and is full of detailed, practical applications and real life case studies. What Water’s sets out to do is to expand the professional clinicians’ capacity and ability to understand, examine and assess dissociation in youth as well as to effectively accompany children in their own individual healing journeys. 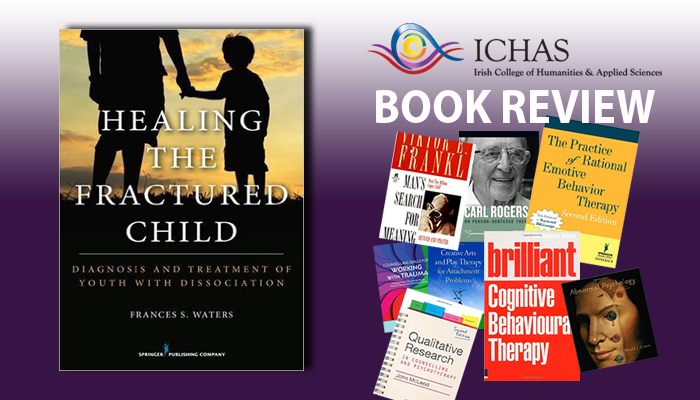 The books is based on a model that integrates five prominent therapeutic approaches focusing on the neurobiology of trauma, a high level co-morbidity of symptoms, specialised clinical interventions, psychopharmacology, and the role of family intervention techniques. The intricately described case studies provide a vast amount of ideas for working with these children and offer readers the encouragement, support and hope so important for working with children who experienced trauma. Frances S. Waters, LMSW, DCSW, LMFT, a clinical social worker, marriage and family therapist in private practice in Marquette, MI. She is an internationally recognised educator, consultant, Trainer and clinician in the area of childhood abuse, trauma and dissociation. She is past President of the International Society for the Study of Trauma & Dissociation (ISSTD), currently Faculty Director of the Child & Adolescent Psychotherapy Training Institute.